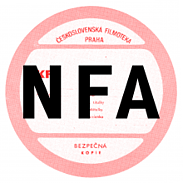 The Czech National Film Archive, founded in 1943, ranks among the ten oldest film archives in the world - and, thanks to its large collection of assorted film materials, one of the biggest as well. Its purpose is to collect, preserve, and make available audiovisual materials that document national film production, cinematographic tradition and culture. Its other main aim is to introduce the nation's cultural riches to the general public via digital technologies.